16 oz package of bacon * Cut bacon in half and then long ways if it is big enough. 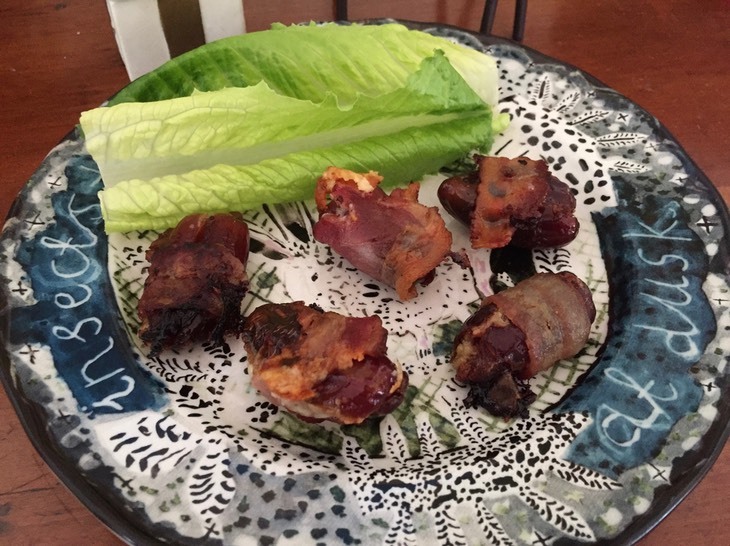 I wrapped 2 to 4 dates using one slice of bacon. To cook immediately preheat oven to 375 degrees. Place each date on the cookie sheet leaving an inch between dates. Sprinkle with a little black pepper if desired. Bake 15 to 25 minutes depending on how well done you like bacon. Serve hot – but they are still delicious at room temperature if they last that long. To freeze, put wrapped dates in a single layer in a large baggie and freeze.